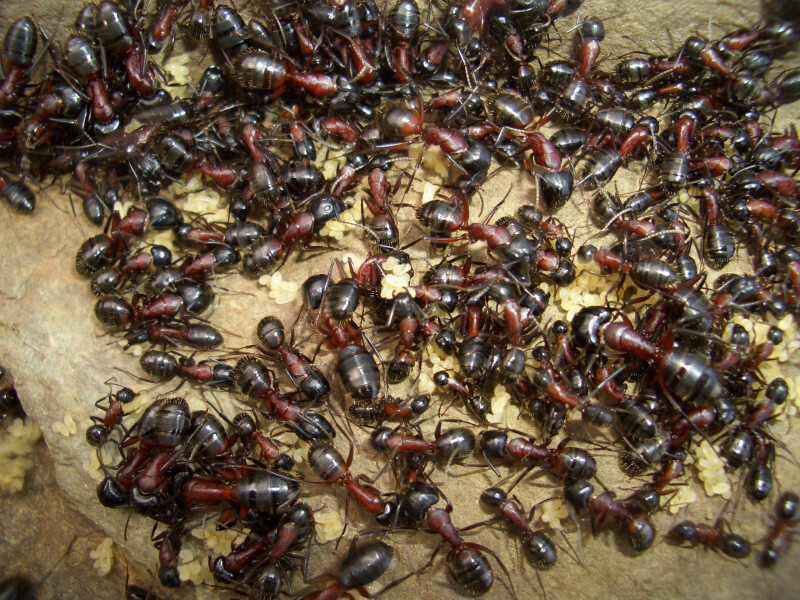 Camponotus ligniperda is one of the biggest european ant species. Prefers sunny and dry slopes and can be found in stony ground as well as in rotten wood. Can be found in low-level as well as in mountains. Specifics: Has Minor- and Major workers. Very fortified; could with one bite decapitate formica-ants. They attack humans only by nest disruption. Shows activity by day and night (diurnal and nocturnal). They build nests preferably in wood or under stones. A radiant heating should heat a stone or an angle of the formicarium in the daytime. 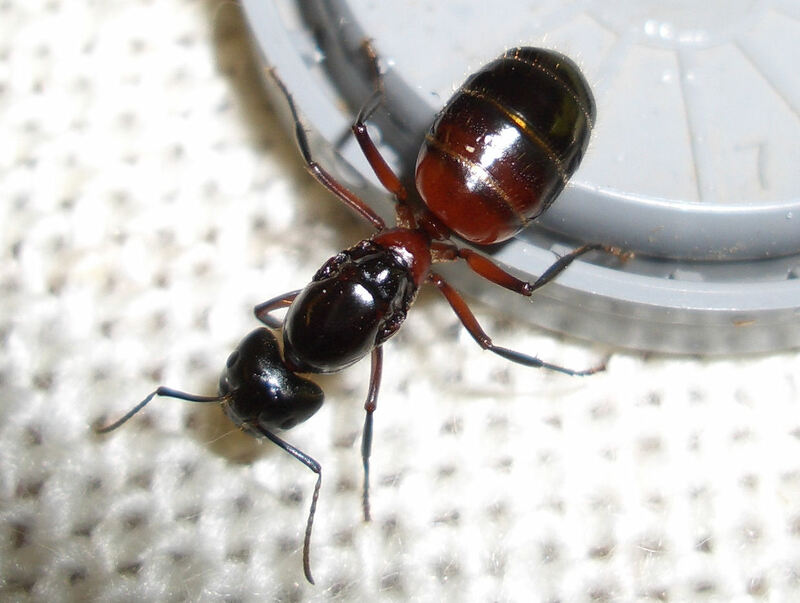 Camponotus ligniperdus was added to the shopping cart. Camponotus ligniperdus could not be added to the shopping cart.